The Cisco ACI makes IT more agile by reducing application deployment time. It does this by providing a common programmable automation and management framework for network, application, security, and virtualization teams. 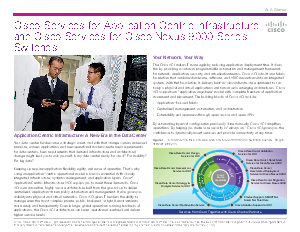 Download this paper now to discover the benefits of Services for Cisco ACI.